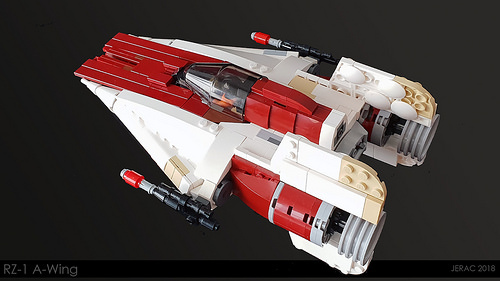 Often referred to as the fastest ship in the rebel fleet, the A-wing is definitely one of the sleekest one-man fighters to soar through that galaxy far, far away. 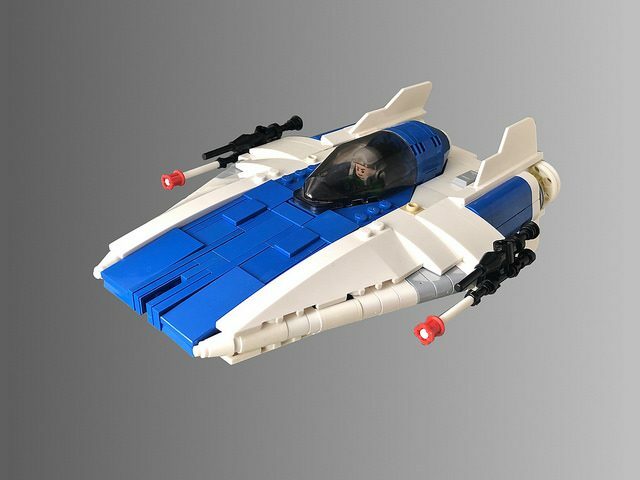 While there have been several official sets from LEGO over the years, the attention to detail that LEGO fan creators put into models of this iconic ship never ceases to amaze me. Take this pair of A-wings by Maelven, for example. The narrow gap down the middle of the nose and inset tiles do wonders in capturing the look of its on-screen inspiration. I also love the random patches of light gray and other colors that help make the fighters look a bit worn and patched. The smoothly angled sides are also well-executed. One more detail I almost missed is the blue tooth element just behind the canopy, which is spot on when compared to the A-wing model from the film. 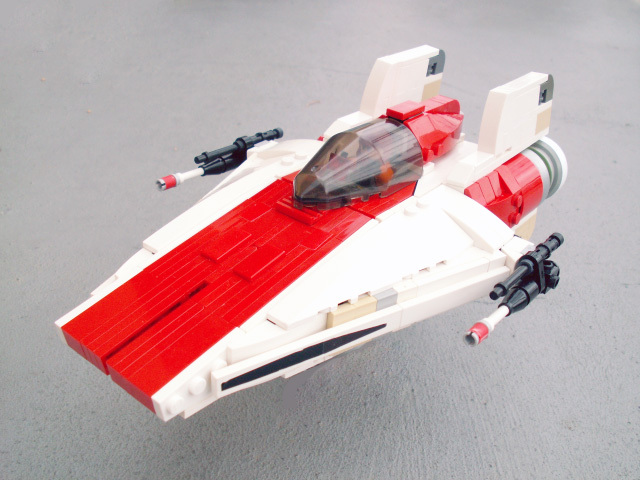 It’s been more than 10 years since Jarek shared the first version of his LEGO A-wing, a sleek starfighter first seen in Return of the Jedi. It’s always interesting to see how builders approach the same subject matter years apart, with improved building skills as well as access to new LEGO pieces. 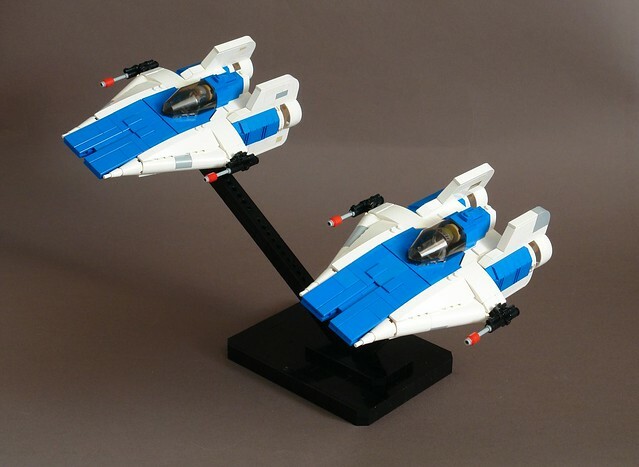 Jarek says that his updated A-wing has better proportions than the 2008 version, with properly brick-built missile launchers. According to concept art, the RZ-1 A-wing interceptor is the fastest ship in the rebel fleet. 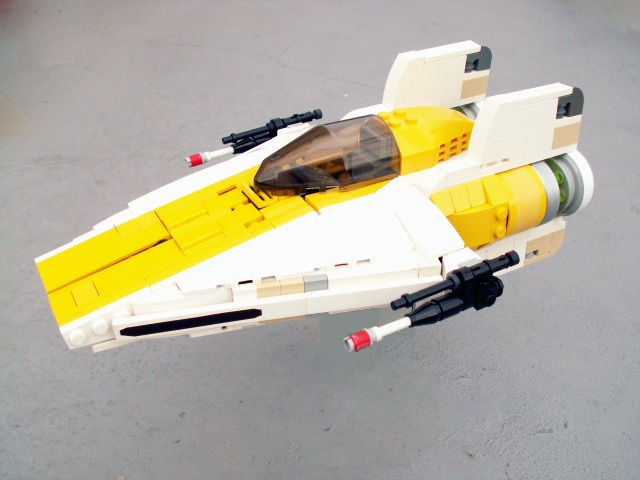 It is certainly one of the sleekest fighters in the Star Wars universe. This model by Thomas Jenkins is high on my list of fan creations. The off-set tiles down the front of the ship lend a realistic look, without detracting from the clean lines. I also really like the angled detail on either side of the front fuselage that smoothes out an otherwise sharp edge. The slight angle of the engine pods is quite accurate to its on-screen inspiration, and there are some excellent details along the back of the fighter as well, including an asymmetrical ingot on one side, and a very nice rear thruster detail using 2 spoilers in white. 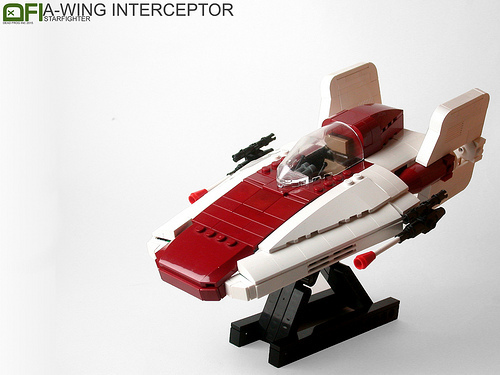 While the world goes Episode VII crazy, Dead Frog inc. brings us this gorgeous rendition of the A-wing Interceptor. 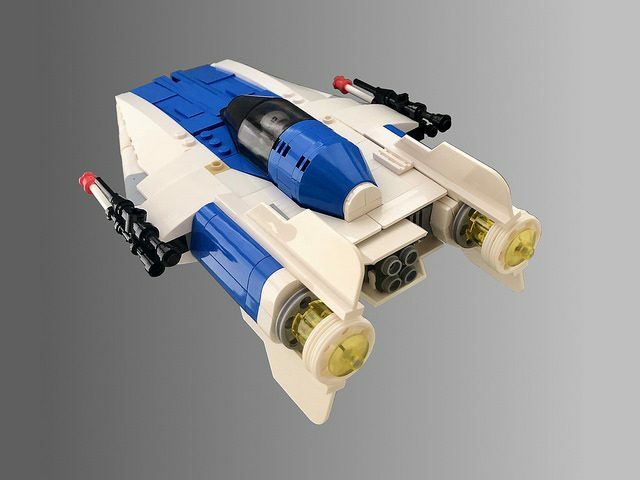 While it doesn’t get nearly as much love as it deserves, the A-wing is one of my personal favourites and this is definitely one of the best recreations I’ve ever seen. P.S. The Force Awakens is superb and you should watch it before the endless internet trolls spoil it for you.